Just as Boeing is about to unveil its game-changing 777X a massive model of the Superjet is flying in Germany. The 1/20 scale of the 777X is 3.8 metres long and has a wingspan of 3.5 metres and weighs 17kg. 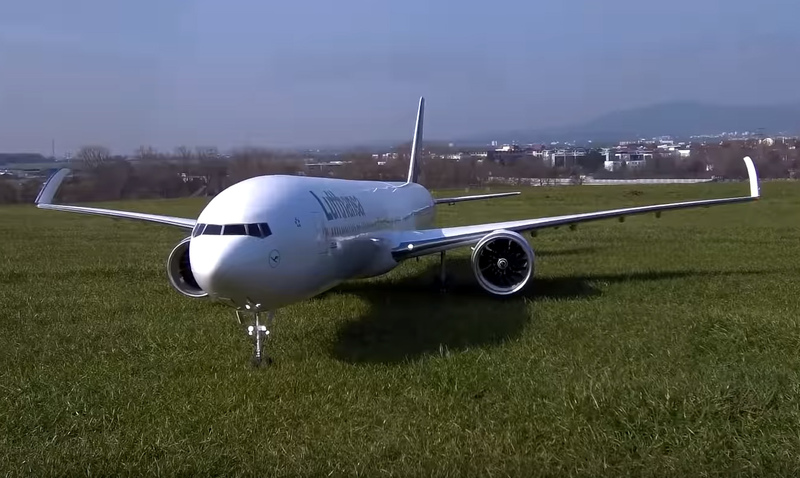 Built by Ramy RC the 777X has “jet engines” working flaps and undercarriage. Here is the video of the build and first flight. The “real thing” rolls out soon from the Boeing factory as key customer Emirates looks to increase its order from 150 but anther 20. 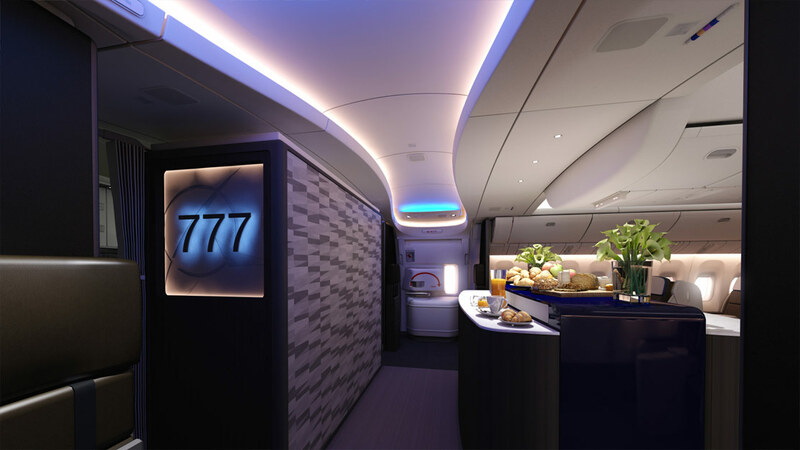 Last month Boeing revealed more details of the interior of the 777X which will give passengers a new level of comfort with airlines using the new jet, which will enter service in 2020, as a showcase for the latest interior products. Last year launch customer Lufthansa unveiled a new Business Class cabin concept for the 777X, which it will introduce in 2020. The 777X comes in two models the – 9 and -8. The airline says its Business Class passengers can look forward to lie-flat beds with a length up to 220cm (86.6 inches), with a focus for those that lie on their side when sleeping. The Business Class configuration on the Lufthansa 777-9 will be 1-2-1 and 1-1-1 giving direct aisle access for all passengers. 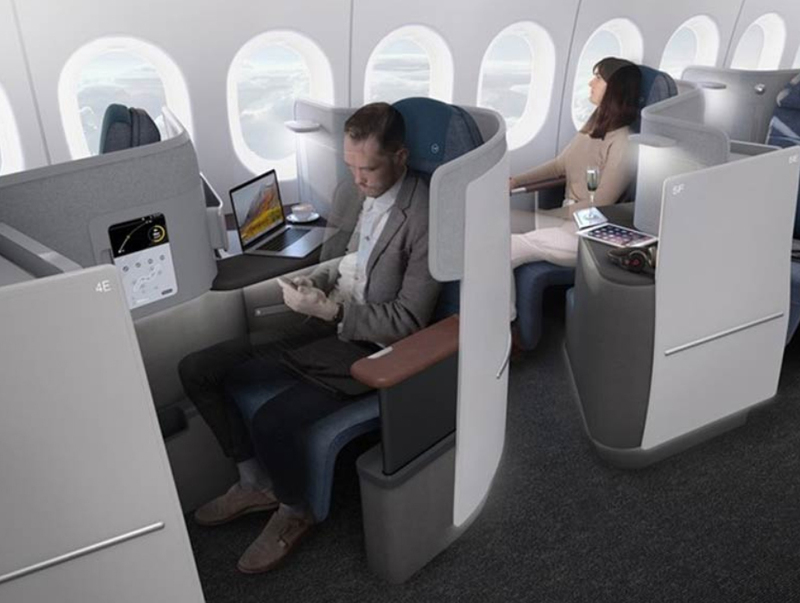 Passengers will also have the greatest storage space of any aircraft and they will be able to control the in-flight entertainment from their own personal devices. What is more wireless device charging will be fitted to the 777-9. In a first, passengers can also opt for a suite that has greater desk space or one that has a longer bed. Emirates, the largest customer for the 777X with 150 on order says it will add Premium Economy to its offering with the new jet. The cabin is about 4 inches or 10cm wider than the current 777 and this has been achieved by re-sculpturing the interior ribs of the aircraft. This will mean physically a more spacious interior for all classes while windows that are 20 percent larger and repositioned higher will give a visually much greater sense of space. 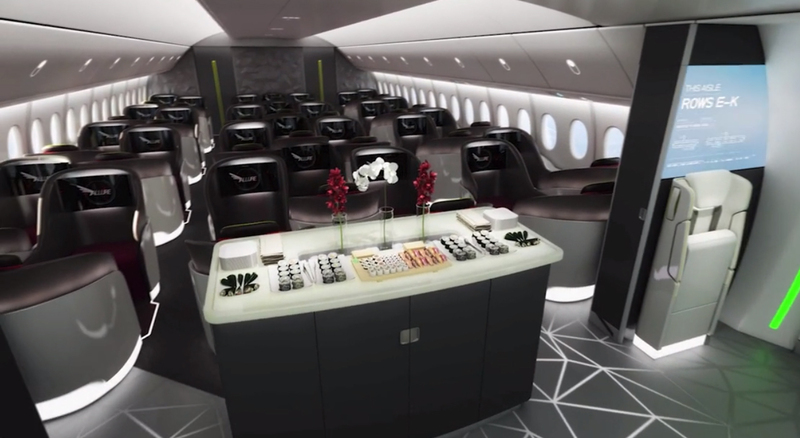 The aircraft also features the lower cabin pressurization and high humidity of the 787. It will have a fourth-generation composite wing and an all-new engine from General Electric the world’s foremost engine builder. The wing and engine combination will give the aircraft a 20 percent better fuel economy per seat than the 777. With a range of more than 15,185 km, the aircraft will have the lowest operating cost per seat of any commercial aircraft says, Boeing. The 777X is a contender for the Qantas Sunrise Project to carry 300 passengers non-stop from Sydney to London. Next articleRussian supersonic airliner by 2022?